Windows 10 Creators Update, version 1703, a big Windows update release by Microsoft, publicized on April 11th, it has now reached out millions of qualifying devices around the world. While Windows 10 Creators Update install stuck issue seems to coming after a plethora of laudable new features and known bug fixes for Windows 10. This might be the first hitch as one of the Windows 10 Creators Update problems. How to fix Windows 10 Creators Update installation stuck error, here in this post, we elaborate the 5 important matters which need your attention to prevent and resolve installation stuck dilemma when upgrading to Windows 10 CU. To install the Creators Update for Windows 10 successfully, the first thing you need to confirm is that make sure there is enough space on your hard drive to complete the upgrade of Windows 10 Creators Update. You’d better leave 20GB free space for the download and installation. If there is not, try to free your disk space. Alternatively, an USB flash drive with at least 8GB to 16GB of storage is workable, for Windows 10 will automatically use as extra space to install the update. Take the below Windows 10 Creators Update hardware requirements for your reference. Security and antivirus programs sometimes can interrupt the Windows update installation. Therefore, you’d better disable them before install and upgrade to Windows 10 Creators Update, including the Windows Defender. As for the firewall, follow below instruction to disable it. Step 1. Click Start button -> Control Panel. In Control Panel window, choose Windows Firewall. Step 2. 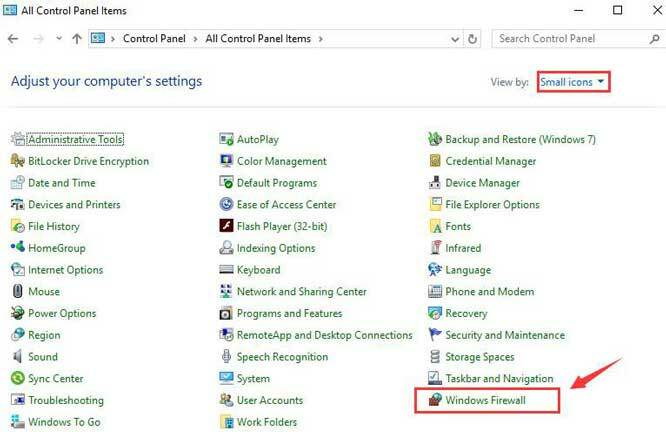 Select Turn Windows Firewall on or off as below picture shows (Administrator permission may be needed). The Creators Update won’t download and install on your device if you have modified your PC stetting to defer Windows 10 feature updates. To fix Windows 10 Creators Update failed installs by disabling defer feature updates, follow the path Settings -> Update & security -> Windows Update -> Advanced options, and then uncheck the Defer feature updates option. Some Windows users posted that disabling fast startup help to solve the Windows 10 Creators Update get stuck at 23%, 32%, 70% or others percentage. Step 1. Go to Control Panel -> Power options -> Choose what the power buttons do. Step 2. Click on Change settings that are currently unavailable. Step 3. Uncheck the box Turn on fast startup (recommended). Step 4. Click Save changes to save the changes. Corrupted system files could also cause Windows update fail to install problem. In this case, it is suggested by Microsoft that you run the DISM (Deployment Image & Servicing Management) to fix Windows corruptions. Step 1. Press Win + X to open Command Prompt (Admin). Step 2. Hit Yes in the prompted UAC window. Step 3. Type the following command, and then press Enter. Notes: Running this command, DISM uses Windows Update to provide the files that are required to fix corruptions. While if your Windows Update client is already broken, try using a Windows side-by-side folder from a network share or from a removable media, such as the Windows DVD as the repair source. To do so, run the following command. Replace the C:\RepairSource\Windows placeholder with your repair source location. For more details about using the DISM tool to repair Windows, refer to Repair a Windows Image. Step 4. Type the command sfc /scannow and then hit Enter. Step 5. Close the command prompt after the command completes, and then run Windows Update again to see whether you can install Windows 10 Creators Update now. To take precautions against the driver and software compatibility, it is recommended to update drivers for Creators Update. You can use Driver Talent, a professional driver updater, which helps to update all the incompatible drivers to the best-matched ones within minutes. 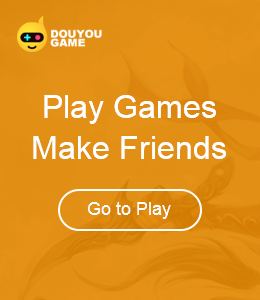 Click the button below to grab it. Step 1. Click “Scan” to let Driver Talent identify the outdated or broken drivers. Step 2. Update them by clicking “Update” or click “Repair” to fix the faulty drivers for Windows 10 CU. Notes: In case of unnecessary driver crashes, you'd better backup drivers before performing Step 2. And it is not recommended update what aren’t broken. Step 3. Reboot your computer to let the newly-updated drivers take effect on Windows 10 Creators Update. If you still get stuck during Windows 10 Creators Update installation process after doing the 5 steps above, comment below or visit OStoto official forum for further assistance.